America is a nation looked up to the world. Though we have own issues that we are working to resolve, we are still (and will be for a long time) the cultural inspiration for the world. That may be a bold statement, but during the holiday season we, here at Military Home Buying, are reminded why we live in this country and appreciate the sacrifices that our American heroes have made to keep our home great. So, why are we thankful to live in America? For a number of reasons! Firstly, we are thankful for the history of dignified men and women who left their lives back at home to serve our country and keep it safe. These American heroes, as we mentioned earlier, are the backbone of our country. During the holiday season, one cannot help but remember that. In addition, to that most important note, we also give thanks to our schools, commerce, and religious freedom. A defining feature of our country is also our sweeping and varying landscapes that stretch from sea to sea. We could not have had the innovation during the Internet boom that without had without the effort of our veterans. The American dream, complete with the house and white picket fence, is still a cornerstone in our culture too and that tradition is another reason we are thankful to be in America. It may be harder to achieve these days, but we think our veterans deserve that dream more than any other. That’s why we work hard to help you in the military home buying process. We don’t want that to come off as a shameless plug; we truly are thankful for the American dream that has kept our country strong and we want to do whatever we can to help you be a part of that dream. Now, we’d like to thank you for visiting our site and we hope we could help you in your process of military home buying. Please contact us if you need further assistance; we are here to make your life easier. Depending on where you live, it is hard to drive through a neighborhood without seeing “For Sale” signs these days. Yet while it may not be a seller’s market, it is definitely a buyer’s market. Military home buying is an investment, yet with the market down and interests rates at the lowest they have ever been, we think it is a smart investment. For anyone who can afford it. Ever since this country was started, Americans dreamed of the comfortable family home with the white picket fence surrounding it. Life is not so much Leave It To Beaver anymore, but owning a home is still a goal for most. Why? Because it gives you permanence that renting can’t. Once you own a house, you can paint every wall lime-green if you want to – or add anything to the yard that you want without having to refer to your lease and landlord for permission. Even if you know you will be relocated in 5 years time, buying a house and then selling it or renting it out when you leave, makes the area a home that your family can connect back to. In addition, for practicality purposes, if you have a lot of kids or multiple pets, it’s almost impossible to find housing unless you buy it. If you have a family, you may also want to start thinking about your forever house. Where do you want to grow old with your spouse? Is it a place where you have already been located once? Is it a place where you want to be located? Either way, buying is cheaper than renting in the long run, so knowing you want to invest in a place is an important first step in saving up for it. Fortunately for Military families and Veterans, military home buying is one of the easier processes–as expressed our recent post about the benefits of a VA Home Loan. But, the housing market has reached its bottom and is climbing back up. Make the investment, or at least take an effort to educate yourself, contact us. United States Military Housing Assistance Fund is so grateful to the soldiers of the United States who protect our freedom and country. Thank you for your service. 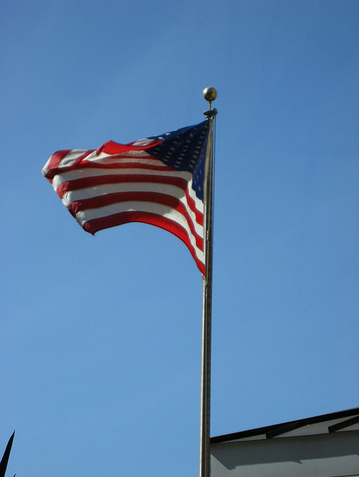 Happy Veterans Day from Military Housing Assistance Fund! Below are 10 quotes we love about freedom and America. Military Housing Assistance Fund (MHAF) helps military families to become homeowners by helping them acquire Veterans Closing Cost Grants, but you may be wondering, “What are some of the benefits of a VA Loan?” We answer this below. 1. A VA Loan requires no bottom line credit score. 2. There is a 100% cash-out refinance up to FHFA’s conforming loan limits. 5. A VA Loan can yield zero monthly mortgage insurance premiums. annual conforming loan limits, as adjusted by county. 8. Streamline VA to VA Interest Rate Reduction Refinance Loans. Contact us by filling out the form on our home page for more information about securing a Veterans Closing Cost Grant for your home, now.